In a time when nearly every consumer is more conscious of where food on their plate originates, Advanced Traceability Solutions provides accurate food traceability solutions that include Smart PDA devices with GPS, thermal printers, 2D and 1D scanners, durable labels and tags, and the ScoringAg.com Traceback Database, which is necessary to trace food from the time it is harvested, through food processing and distribution to the consumer’s plate. Harvest locations include fields, orchards, lakes, rivers, bays, and oceans. Using technology to solve the challenges throughout the food chain, we provide solutions that ensure food traceability by marking containers (cardboard boxes, rpc-recycled plastic containers, wood crates, waxed boxes etc.) 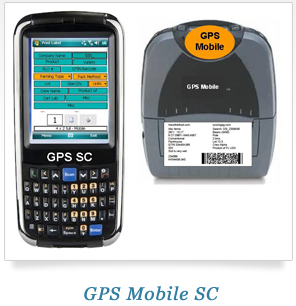 of all food commodities throughout the food chain with Lot ID, exact location via accurate GPS coordinates, supplier name, date and time, and other important information.